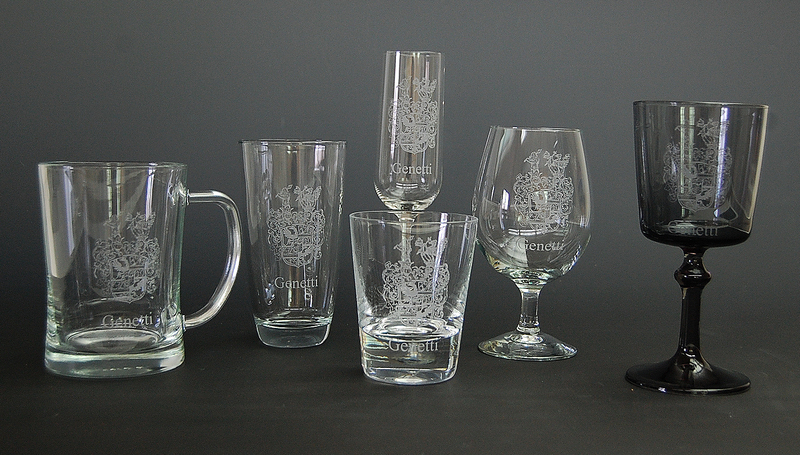 Master glass artist, Gary Genetti, has generously offered to engrave glassware for family members at a discounted rate. 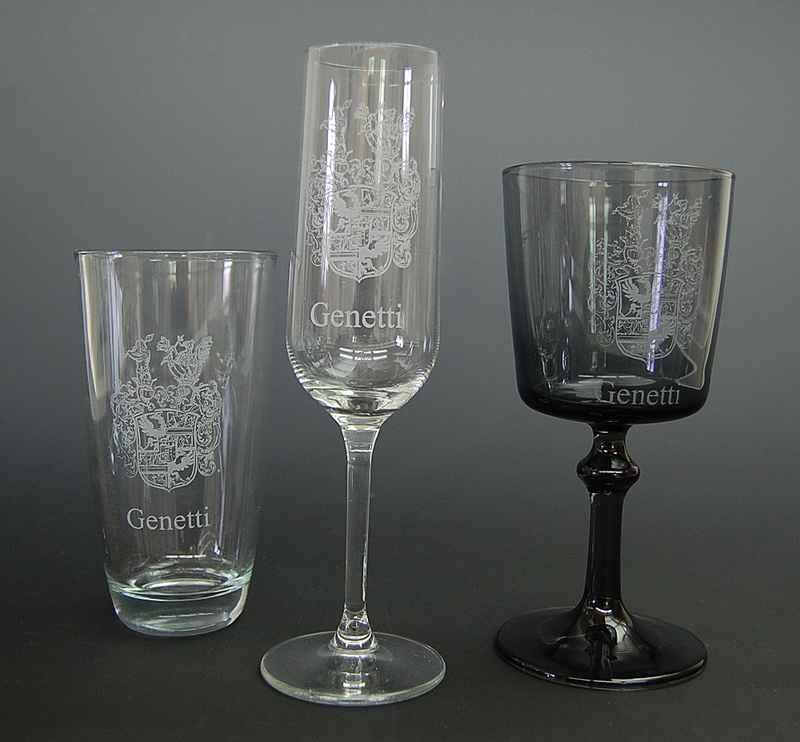 Gary suggests that you purchase your own glassware from Ikea, Walmart or another discount store and drop ship it directly to him in the original packaging. 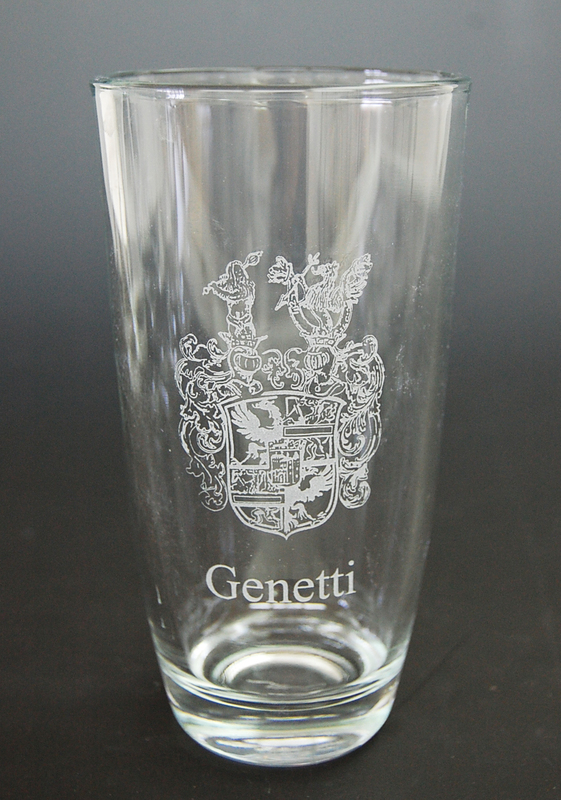 He will then engrave the Genetti Coat-of-Arms on your glassware for a family rate of $12.00 per item, plus return shipping. Payment can be made through Paypal or your Amazon account. For information please contact Gary Genetti at: garygenetti@gmail.com.